Thynne + Macartney, a commercial law firm based in Queensland, is accelerating their growth as the new financial year begins with the acquisition of three senior practitioners. On 31 July, we welcomed Cameron Graham and Ashleigh Poole. On 7 August, we also welcomed Paul Wong back to Thynne + Macartney. “In August 2014, we bid an amicable farewell to our Banking & Finance team when their path for growth diverged from that of Thynne + Macartney as the market for legal services changed. Over the past few years, Paul’s practice has shifted and adapted, and we now believe it is well aligned with our strategic direction. We are very happy to welcome Paul back to the firm,” Peter Jolly, Chairman of Partners said. Paul Wong will head our Finance and Projects team. Paul’s expertise includes assisting clients through the maze of regulation surrounding traditional finance, project finance and asset finance. He also has considerable experience in corporate recovery. Paul also has significant commercial law experience. He has assisted in corporate acquisitions, including providing advice on structuring, fundraising arrangements and other commercial arrangements. Paul’s commercial expertise also encompasses property transactions including leasing, property acquisitions and sales, and acting in mortgagee sales of residential, commercial, industrial and rural properties. Cameron Graham is a Partner in our Property team and has over 20 years’ experience. Cameron specialises in commercial leasing, with a particular interest in retail leasing. During his career, he has collaborated with large shopping centre owners and developers to create innovative leasing solutions. For many years, Cameron’s practice included all the leasing work for a significant institutional group of shopping centres in Victoria, South Australia, New South Wales, the Australian Capital Territory and Queensland. Presently, he acts for clients who have granted numerous leases to Australia’s premier supermarket chains and department stores. In terms of Cameron’s general property sector work, he has also negotiated the sale and purchase of several shopping centres. Cameron believes that a successful outcome for his clients is very important. He looks at transactions not just technically but also from a practical and commercial point of view. Sometimes, he has to balance an analysis of the key issues in discussion with the client to establish what matters the most to them commercially. Ashleigh is a Special Counsel in our Wills & Estates team and is a Queensland Law Society Accredited Specialist in Succession Law. She has over ten years’ experience (over seven years as a solicitor) in all aspects of estate administration, estate planning, estate litigation, trusts and QCAT matters. Ashleigh works with individuals, trustee companies, accountants, financial advisors and other legal firms and their clients. She has expertise in all aspects of deceased estate administration and acts for executors attending to the administration or beneficiaries seeking advice and assistance in respect of their estate entitlement. In the estate planning space, Ashleigh has experience with all forms of testamentary trusts, special disability trusts, assessment of capacity in borderline cases, mitigating the risk of an anticipated estate challenge, and dealing with interests in superannuation, trusts and companies. Ashleigh also has considerable experience with estate and trust litigation including Family Provision Applications, challenges to the validity of a will, trust disputes and equitable claims. She also has expertise and a special interest in applications to QCAT, whether that be on behalf of adults or interested family members. “We are delighted to welcome Cameron, Ashleigh and Paul as it reinforces the very specific growth strategy the firm has been pursuing for over three years. The firm’s management has been making acquisitions of carefully chosen, talented individuals and we have seen the pay-off in the past two financial years. We have been in a good, steady growth phase. “However, we have seen a particular acceleration of growth in the past few months with the integration of the former Brian White & Associates under the Thynne + Macartney name. This now gives us a presence in Cairns, Darwin and Papua New Guinea. 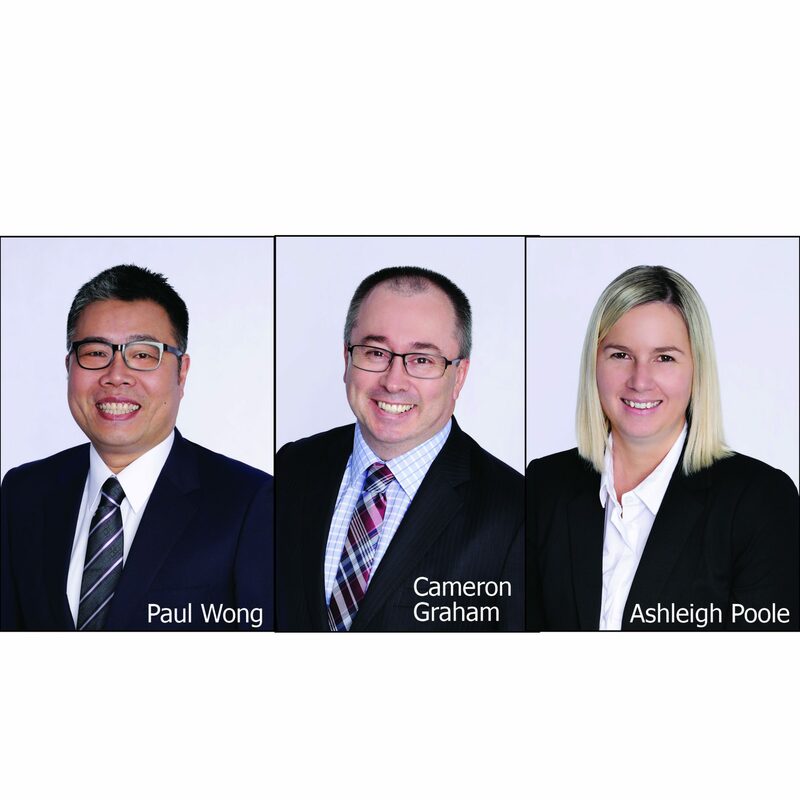 The addition of senior and well-respected practitioners such as Cameron, Ashleigh and Paul simply propels that growth into the future and we see that trend continuing,” Peter Jolly, Chairman of Partners said.